Keeping up with the latest trends, we strive to achieve utmost customer satisfaction. 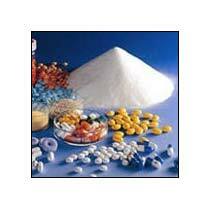 We are a prominent Manufacturer, Supplier and Exporter who are recognized for offering Pharmaceutical Raw Material. Being free from any harmful chemicals, it is well suited to apply in various purposes. We make these available in airtight packaging. Their high quality, safe packaging and affordable prices are the reasons behind their wide use.